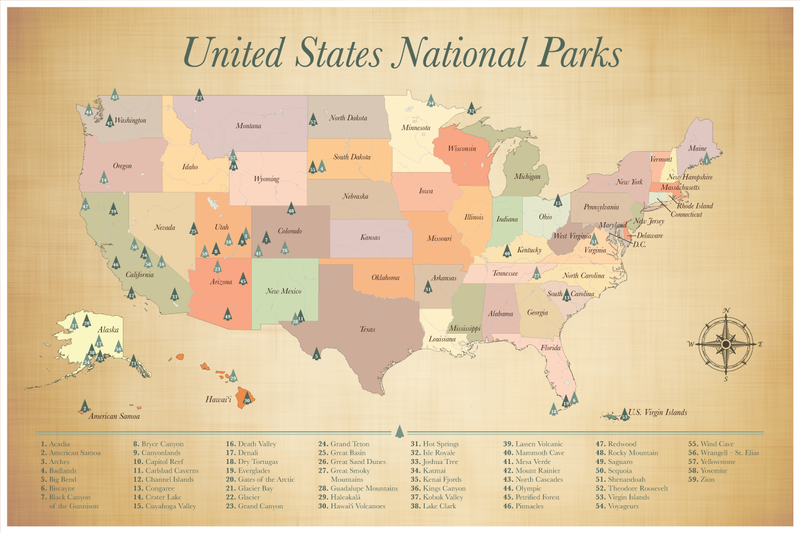 A United States National Parks Push Pin Map to track your adventures together! With 59 National Parks, this map will help you track your US adventures in style. A great gift for the adventurer, wanderlust, hiker or outdoor enthusiast! Sized at 24×36 inches, you’ll love this map as part of your home decor. P.S. They also make a great paper anniversary gift for 1st year wedding anniversaries! A Push pin US National Parks map printed on matte paper. Track your National Park visits in style. This listing is for the print only and comes with easy DIY instructions on mounting or framing yourself or having it done professionally upon receiving.